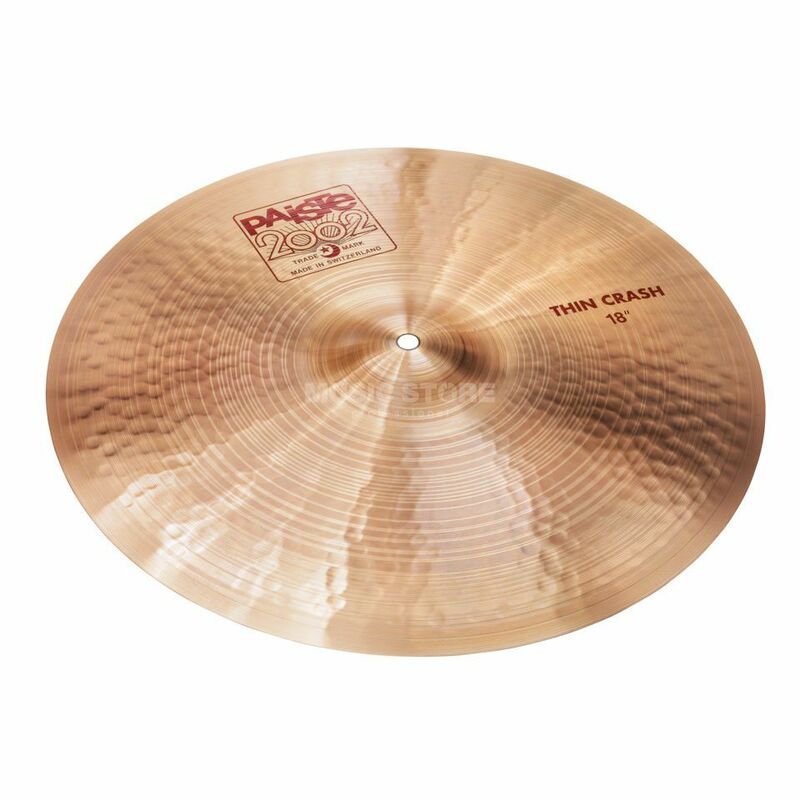 Paiste 2003 Thin Crash 18"
At the time, the 2002 Series from Paiste was the first series from the traditional Swiss manufacturer with a specially developed cymbal for electronically amplified music. Today's cymbal models are still based on the legendary 2002 cymbal of the 70s. Naturally this extremely popular 2002 Cymbal series has since been further developed and expanded through new models, which hit the nerve of popular rock and pop music of today. The 2002 cymbals are made in Switzerland from CuSn8 bronze. The term '2002 bronze' became a household name and typical in the industry due to the extreme popularity of these cymbals. The manufacturing process is, as usual, completed by experienced craftsman and boasts a hammering done completely by hand. The bright, energetic and dynamic sound of the 2002 cymbal series is best suited for modern rock and metal, ska, rockabilly and punk styles, but also makes a great impression in classic rock, gospel and soul among others. The brilliance, clarity, precision and assertiveness allow the 2002 cymbals from Paiste to be used in nearly any music style.